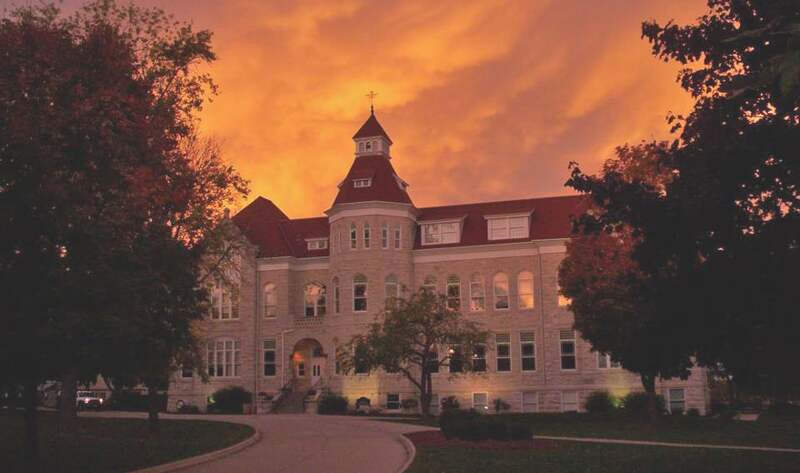 Every year, graduating seniors at Carroll University receive the opportunity to make their lasting mark on campus with a generous class gift. 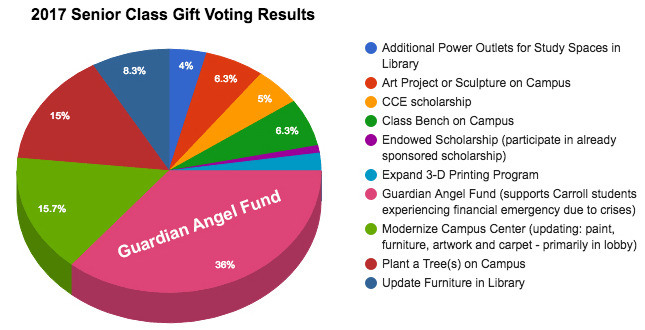 This year, the Class of 2017 voted to give back to Carroll University’s Guardian Angel Fund. The Guardian Angel Fund provides financial support to Carroll students who are demonstrating a financial emergency. Established in 2010, this fund was created to honor a man who dedicated his life to working with students and helping them with affordable education. He was a high school coach and athletic director who cared deeply about his students and always pushed them to be their best. When students endure such hard times, financial emergencies may arise; this fund acts as a safety net to help ease the financial stress the student is experiencing. 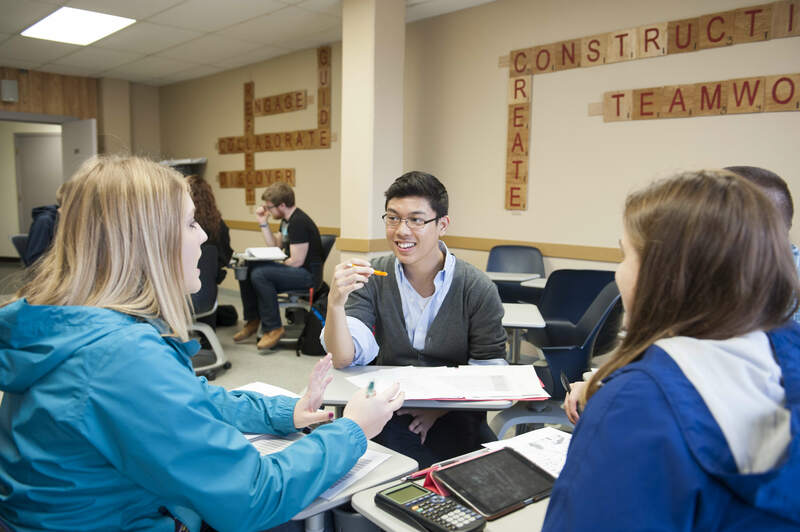 The Guardian Angel Fund alleviates the burden for students in times of crisis by providing financial assistance toward tuition or other expenses. This fund also acts as an opportunity agent; when students need extra help to achieve their goals and dreams, this fund provides the extra assistance. From providing help in tuition expenses during traumatic times, to assisting financial costs for CCE trips, the Guardian Angel Fund helps students of all backgrounds and needs. Our goal is to reach a 20.17% participation rate, approximately 110 students from our graduating class. If 110 students each donated $20.17 in honor of their class year to the Guardian Angel Fund, we could raise $2,218.70 for our fellow pioneer family. As graduating seniors, we all know the value of our education. If we are able to help one student out, sponsor their success, and give them the exceptional education and opportunities he or she deserves, don’t you think we should? 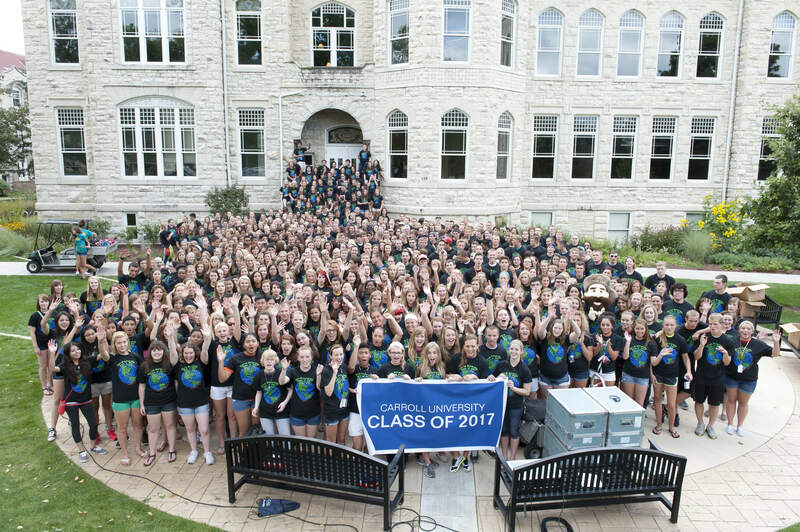 By contributing to the 2017 Senior Class Gift, you are reaching out a helping hand to students in financial need, you are directly endorsing their success and providing opportunity for a prosperous future. We encourage each of you to make a contribution to the Class of 2017 gift and expand our class’s legacy. A donation of $10 could pay for a hungry student to enjoy a warm meal.